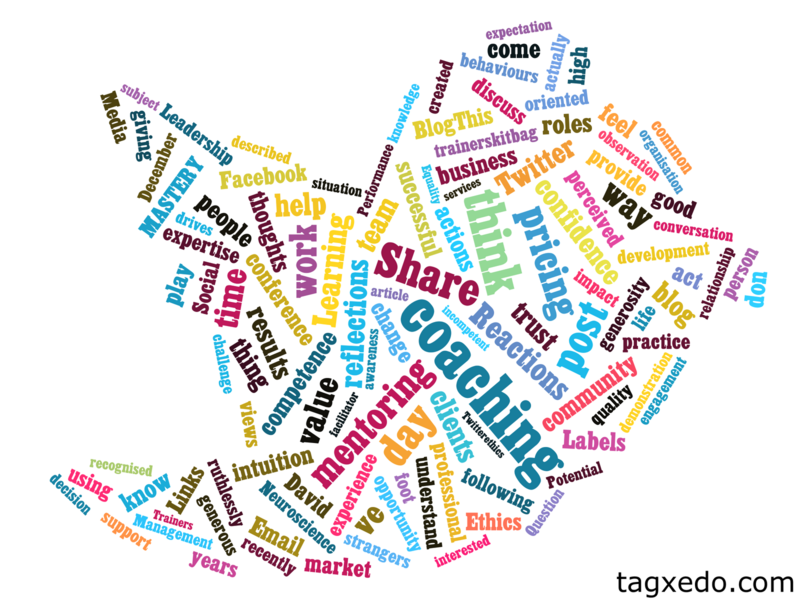 So, is there any application for coaching or mentoring using social media? I recently spoke with a group of fellow coaches & mentors about this (see here). The focus of our conversation and thinking was to establish what value there could be rather than what such a solution might look like. What the conversation generated was some interesting insights into how social media and both coaching & mentoring have some common issues at heart. It also showed how coaching & mentoring is in danger of ignoring the evolving communication preferences of our clients. There is such a broad range of experiences and perceptions of Social Media yet for many it still seems to be something to be held at arms length rather than embraced. The main issues creating this perception seem to be trust & value. There is such a broad range of experiences and perceptions of Coaching & Mentoring yet for many it still seems to be something to be held at arms length rather than embraced. The main issues creating this perception seem to be trust & value. If you want to engage with people on platforms such as Twitter you have to place trust, faith even, in the fact that people will engage with you, respectfully. You have to trust the sentiments of strangers. You have to trust exposing yourself in this way. It takes trust to build that all important rapport. Doesn’t this describe social media as well as coaching & mentoring relationships? Naysayers talk of social media as a waste of time – it’s just people chatting. Well, I believe value is to be found where you create it. Engaging with people you trust nearly always creates value. Sometimes we do it through chatting just as you would in the workplace. Sometimes the dialogue is much deeper, perhaps in a way we don’t experience in the workplace. With people the value is in the conversations and relationships you build. Communication is not a generational difference! Many people have developed careers and worked in businesses that have had little or no engagement with social media. Over the years we’ve developed successful practices without social media. However, the reality is that people are now engaging differently & more frequently because of social media. If we look at the “standard” executive coaching engagement, many people will talk of something akin to 6 sessions over 6 months. Regardless of the value this does or doesn’t create, how do we know this format is still appropriate? Is it still relevant for a social media savvy population? What method(s) and frequency of engagement do clients find most relevant and supportive? Are we even asking them? We can’t let our own tried & tested practices stop us from embracing more appropriate tools or methods of communication or engagement. We must maintain high standards and explore how we can embrace more appropriate tools or methods of communication & engagement. Don’t get caught up on how it can’t work. Focus on how it could work. If our clients are working in the real-time world of social media, why aren’t we? Coaching & mentoring are both often framed as conversations with a purpose. That sounds a lot like social media to me!